There are lots of different ways you can raise money for the Foundation, whether it’s organising a quiz night, holding a bring-and-buy sale, or running a challenge event. Every year there are marathons, half marathons, 10Ks, 5Ks, sponsored runs and fun runs where thousands of people take part and raise funds for the charity of their choice. We suggest you keep it simple and choose something you think you’ll enjoy! You can set up a fundraising page on our Virgin Money Giving page. Let us know about your event and we will publicise it on our website and our Facebook page – send us details by using our contact form. Fundraisers raised more than £26,000 for us in 2018. The time and effort that you have put into organising, taking part, and giving your support has made a real difference to the lives of women and children in Afghanistan. Tobias Wellensiek and the Hilfswerk Lions-Club, Heidelberg-Altstadt. 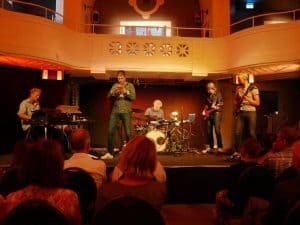 Among the fundraising events in 2018, Tobias Wellensiek and the Hilfswerk Lions-Club Heidelberg-Altstadt held a night of jazz with Thomas Siffling and his band in Heidelberg. Harris Tweed Hebrides in conjunction with the Khushi family and the UK Association of Medical Aid Pakistan raised £7,000 from a gala dinner and fashion show in Glasgow. Donations were given in lieu of presents for David Muir on his 70th birthday, while Dr John Hay saved change from his weekly shopping trip. Rob and Janis Scott kept a donation bowl at the Morven Gallery on the Isle of Lewis. 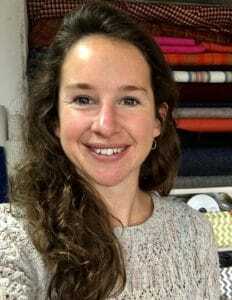 Rosie Wiscombe raffled a ‘hoodie’, and also auctioned Harris Tweed ‘Ice-cream cones’. Qaasim Hussain ran in the Mid­dlesbrough 10K Tees Pride event, Chris Williams in the Cardiff half marathon, and Linda Thomson and Jacquie Mahoney organised a 10k walk along the Moray Firth. Many adventurous campers spent a night in the Mangersta bothy or wheelhouse and made a donation in return. And the eighth LNF 10k event was well supported throughout the UK and in many other parts of the world – find out more. Recycle your old mobile phones through the Afghan Mother and Child website. If you shop online, you can raise funds for the Foundation by shopping via the Easy Fundraising website – you only need to set it up once, and a small percentage of your purchase go to the Foundation. If you use Amazon, shop through AmazonSmile where you will find an option to nominate the Linda Norgrove Foundation – they will then give 0.5% of all your eligible AmazonSmile purchases to the Foundation.